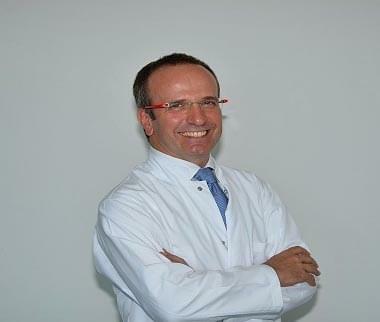 Prof. Birol Civelek, MD is a Plastic and Reconstructive surgeon. He went to high school in Istanbul. He regularly sees his patients in London and performs in Istanbul. He then started his medical education at the most prestigious Turkish medical school " Hacettepe University' following his ranking in the 99th percentile at the nationally held university entrance exam.. His whole curriculum was in English language. During his education he did summer clerkship at Ospedale Molinette in Turin, Italy. He started his residency training in G. Surgery at Istanbul University Cerrahpasa Med School then continued with Ear Nose Throat Residency at Ankara University Med School where he spent more than 2 years. Having passed the FMGEMS and FLEX examinations he was matched in the Surgical Residency Programme at the Soundshore Hospital (formerly known as NRHMC- an affiliate of NewYork Med College) in NY, USA. He is currently eligible for licensing in almost all states in USA. Upon completion of his surgical training in the USA he completed his residency in Plastic Surgery in Turkey where he has been practicing over 15 years now. He has over 60 publications and presentations. He has been to various medical centers in USA and in Europe for further training in special areas of Plastic Surgery. UPMC (Pittsburgh), WestPenn Hospital (Pittsburgh), Clinica PalmaPlanas and MD Anderson (Spain), Munster University (Germany) are some to count. He is also a diplomate of Hand Surgery and Oromaxillofacial Surgery (triple specialty diplomas). He has been to some underdeveloped parts of the world such as Yemen, Moldovia and Iraq where he performed over 100 surgical cases. He established and worked as the head of Plastic Surgery Residency Programme at AKEAH Training and Research Hospital in Ankara. He specializes in cosmetic breast surgery, face lifts, tummy tuck, liposuction, rhinoplasty and whole body contouring procedures as well as noninvasive procedures such as fillers and botox. He is an avid golfer and member of the Health Board of Golf Federation.